Patterns of bags: the basic details, handles, lining fabrics - we will sew by our own hands! Bags have long been transformed from simpleAccessory in the subject of almost the first need. It safely fits all women's accessories, starting with the housekeeper and notebook, and finishing with a cosmetic bag, a spare pair of stockings and stuff. Given this multifunctionality, choosing a single and unique bag is very difficult, and sometimes it is easier to do by yourself. We will not say that this is easy, but, quite possibly, and much cheaper than buying an industrial option. Before making your own hands first inLife bag, you need to draw her sketch. This is necessary in order to represent how much and what kind of material (accessories, ornaments) you need to purchase, and how it should all look like. Most likely, that in the course of realization of your idea you want to change something, but this is all the charm of handmade accessories. 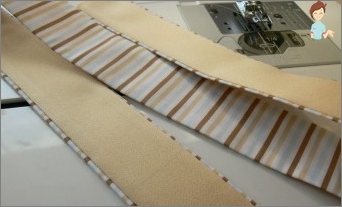 Long before you want to sew a bag fromSkin, you should make sure that your sewing machine is able to cope with such a material, since it is difficult to stitch it. In the rest, you can use plashevku, velveteen, all cotton fabrics, velor, denim, tweed and many other things that can withstand everyday wear and frequent washing. 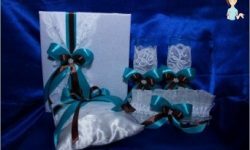 To make an interesting finish, you will have to stock up with dense and thin material, lace and ribbons, from which you can make applications, bulk flowers and abstract patterns. 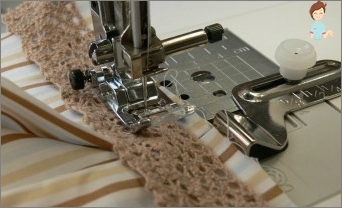 It does not matter whether you make a handbag from oldJeans or a new flock, all seams should be stitched 2-3 times. This is to ensure that the finished product can withstand the weight of all accessories, and its lines do not creep or tear. 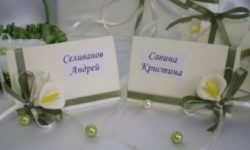 As decorations can act literallyAll that comes to mind: beads, beads, rhinestones, ready-made stickers, stripes, made with their own hands made bows and flowers from ribbons, lace, decorative cords and stuff. 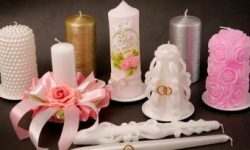 Handle the bag, too, really do it yourself, but if you do not want to mess around, or that requires the design of the future accessory, you can buy ready-made pens, chains, rings and other products. It is easy enough to attach them with rivets, clamps and other connecting elements. 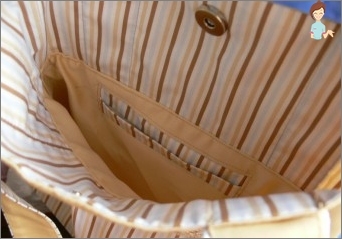 Before you sew a bag from any fabric or imitation leather, you need to determine the way it is closed. This can be a strap, magnets or standard lightning, it's up to you. When sewing any bag, you can not do without lining. It can have a color similar to the baseTailoring material, or be a contrasting coloring. For a hard bottom you should use a thick cardboard, and to work with it you will have to learn the skills of handling an awl. The model of the future accessory is the most difficult stage of its creation. Indeed, sometimes realize nafantazirovannoe is not obtained only because of technical issues. Fortunately, there are ready-made basic bag patterns,And to sew your own hands a product of your own design, you can use the pre-designed bag wall, its bottom or handle. All these drawings can be downloaded from the Internet, and supplement them with their elements in the form of non-standard pockets or composite drawing. With your own strength, you can sew a bag of any fabric,Stopping at its square, rectangular, oval or round shape. In the first three cases, the bottom of the product will be a rectangle with perfectly flat, narrowed or widened edges. But for a round purse the patterns of the walls are made rectangular, and the bottom - round. The width of the bottom can be arbitrary, and the pattern is drawn using a compass or a circular plate. By the way, it will be said, instead of a round bottom, you can make a polygonal, and then the accessory will be even more interesting and unique. 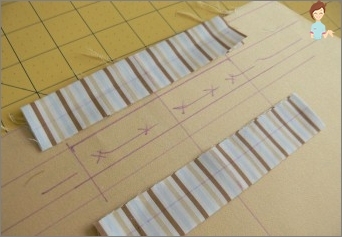 Despite the fact that the pens are also another basic detail, it is the easiest to sew them together. They are a long rectangular strip of fabric sewn into a bag. 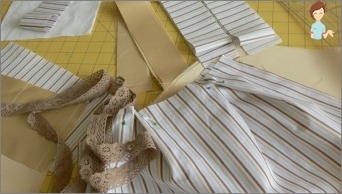 Patterns of the lining are made similar to the main parts of the accessory, although some models can be without a separate bottom at all, that is, it is cut out by a single cloth with walls. To ensure that the lining does not hang, a glue fleece is laid between it and the base material, which is then ironed through the fabric. In principle, these are all the basic recommendations for self-tailoring bags. The rest of the details are clarified and resolved in the process, and it is quite possible that it will not be possible to get the right product from the first time. Do not be discouraged, because experience is your best helper!